Our conference format is designed for flexibility and ease of use, allowing you access to a wide variety of content that fits your schedule. 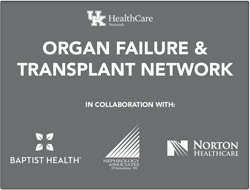 This year we will have a series of rolling release modules featuring lectures from our clinical teams covering best practices in organ failure management and transplantation across all solid state organs. As our Network grows, we will continue to look for ways to develop new competencies among local partnering physicians and hospitals through continuing education opportunities. The following opportunities are now available. Enjoy!